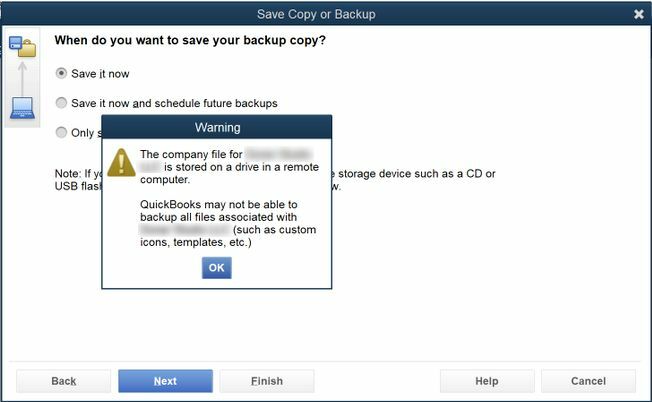 When I create a backup for company files in Quickbooks Desktop Pro 2017 I get a notification warning that the company file is stored on a drive in a remote computer. This warning pop ups due to the enabled Parallels Desktop Shared Profile tool in your Windows virtual machine which maps Windows user account folders (e.g. 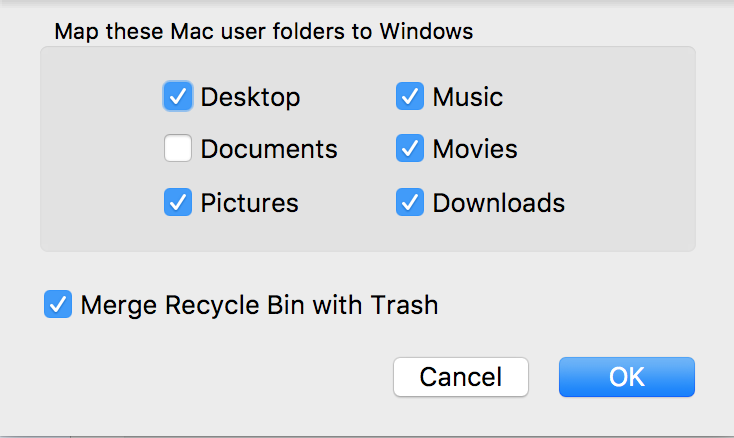 Desktop, Documents, Downloads) to macOS user account folders. Therefore, instead of C:/Users/username/Documents your files are saved to \\Mac\Home\Documents that is the location which Windows treats as the network location. As a result, some Windows programs like Quickbooks Desktop Pro warn a user before saving the files to this location. There is no need to change this configuration if Quickbooks Desktop Pro works okay. To prevent this warning's appearance save files on Windows virtual hard disk (navigate manually to C:/Users/username/Documents). NOTE: make sure to back up all important files from time to time. 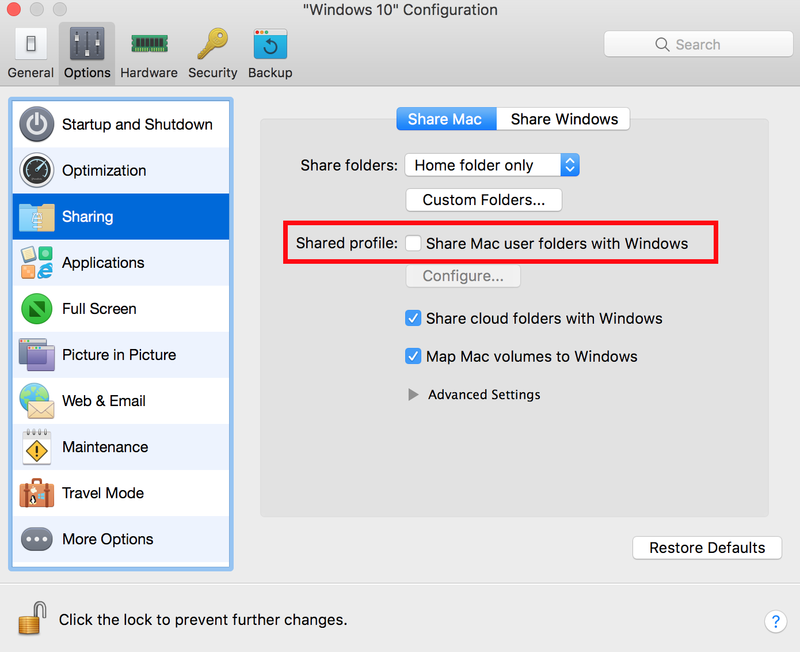 Alternatively, you can disable Shared Profile tool in the virtual machine's configuration > Options > Sharing > Share Mac > uncheck Shared profile checkbox. Or just one of Shared Profile's segments - Documents by clicking on Configure... button under Shared profile checkbox and having only Documents unchecked.